Restorative dentistry deals with the restoration of teeth that have been damaged due to various reasons such as accidents, infection or age. Restorative procedures typically involve more treatment steps to complete the restoration and return teeth to their original form and function. 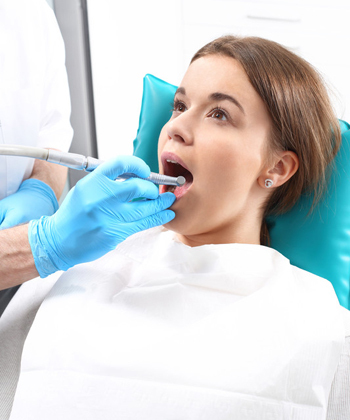 Restorative procedures are becoming very common as more people are opting for them due to their effectiveness. Composite fillings can be done with only one visit to PQB Dental Clinic. They are a bonded restoration that actually strengthens your tooth, less drilling is required to prepare the tooth, and we pick a custom shade to closely match your natural tooth colour. No more dark metal fillings that stain your teeth and cause discolouration over time. Dr. Rogers will begin by preparing the cavity to make room for the composite filling, once inserted, a special light is used to harden the filling. Then he will trim and polish the composite to create a perfect fit. When a tooth is damaged by decay, abscess or fracture, a root canal treatment can retain your original tooth and prevent the need for extraction. Think of a root canal as just a longer filling appointment. This is a pain free appointment to help save your tooth. This treatment can help prevent premature tooth loss. When combined with a dental crown, it will restore the function and comfort of that tooth, giving you back your natural smile. At PQB Dental Clinic we utilize custom crafted crowns and bridges to restore the appearance and function of your smile. These tailored restorations are comprised of a tooth coloured material that is colour-matched to the exact shade and translucency of your natural tooth enamel. If your smile has suffered extensive damage or even total tooth loss there is something you can do about it! PQB Dental Clinic offers a range of highly effective restorative dental treatments to rejuvenate your smile.